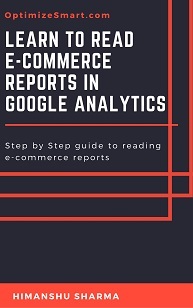 In the present article I will show you, how Google Analytics distribute conversion credit to various touch points in a conversion path for different attribution models. 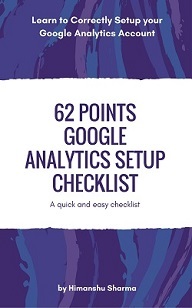 This insight will greatly improve your understanding of various GA attribution models. But before we move forward, there is one caveat. This article is bit advanced. 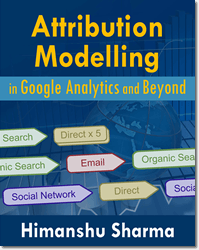 It is advanced in the sense that, it assumes that you already have a working knowledge of attribution modelling in GA.
Attribution Modelling itself is quite an advanced topic in GA for many but the present article takes this subject to a new level. I won’t be explaining the very basics of attribution modelling in the present article. 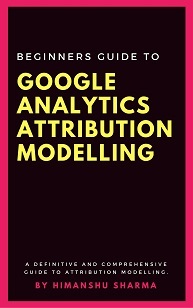 So if you are brand new to attribution modelling then read this article first: Beginners Guide to Google Analytics Attribution Modeling. The ‘Last interaction attribution model’ (also known as last touch attribution model) assign 100% credit for conversion to the last interaction in a conversion path. Following example will help you in understanding how the conversion credit is calculated in case of last interaction attribution model. Campaign ‘A’ gets 0% credit for conversion. Campaign ‘B’ gets 0% credit for conversion. Campaign ‘C’ gets 100% credit for conversion. Under last interaction model, the last touch gets 100% credit for conversion. Campaign ‘A’ gets 100% credit for conversion. Campaign ‘B’ gets 100% credit for conversion. Campaign ‘C’ gets 0% credit for conversion. Since the sum of the conversion credit for three campaigns is 100%, this prove that my conversion credit distribution calculations are all correct. The ‘First interaction attribution model’ (also known as First touch attribution model) assign 100% credit for conversion to the first interaction in a conversion path. Following example will help you in understanding how the conversion credit is calculated in case of first interaction attribution model. The ‘Linear attribution model’ assign equal credit for conversion to each interaction in a conversion path. 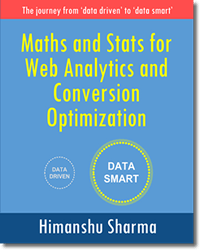 Following example will help you in understanding how the conversion credit is calculated in case of linear attribution model. Under linear attribution model, the conversion credit for each interaction would be calculated as: 1/ conversion path length. Campaign ‘A’ gets 25% credit for conversion. Campaign ‘B’ gets 50% credit for conversion. Campaign ‘C’ gets 25% credit for conversion. Campaign ‘A’ gets 66.66% credit for conversion. Campaign ‘B’ gets 33.33% credit for conversion. Campaign ‘A’ gets 50% credit for conversion. Since the sum of the conversion credit for three campaigns is 100%, this prove that my conversion credit calculations are all correct. By default, the ‘Position based attribution model’ assigns 40% credit to the first interaction, 20% credit to the middle interactions and 40% credit to the last interaction. Following example will help you in understanding how the conversion credit is calculated in case of position based attribution model. Under position based model, both the first interaction and last interaction gets 40% credit for conversion and the remaining 20% credit is equally divided among middel interactions. Campaign ‘A’ gets 40% credit for conversion. Campaign ‘B’ gets 20% credit for conversion. Campaign ‘C’ gets 40% credit for conversion. Campaign ‘A’ gets 60% credit for conversion. Campaign ‘B’ gets 40% credit for conversion. Under position based model, Campaign ‘A’ gets 40% credit for conversion and campaign ‘B’ gets 40% credit for conversion. Since there are no middle interactions, the remaining credit of 20% is equally divided about campaign ‘A’ and campaign ‘B’. The ‘Last non direct click model’ assign 100% credit for conversions to the last non-direct interaction in a conversion path. 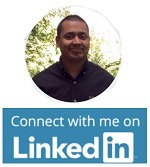 Under last non direct model, the last non-direct interaction gets 100% credit for conversion. The last non direct interaction here is ‘Referral’. So ‘Referral’ gets 100% credit for conversion. The ‘Last Adwords Click model’ assign all the credit for conversions to the last Google Adwords click in a conversion path. 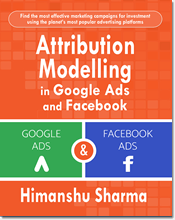 Following example will help you in understanding how the conversion credit is calculated in case of last Adwords click attribution model. Under last Adwords click model, the last Adwords interaction gets 100% credit for conversion. The ‘Time Decay attribution model’ assign more credit to the interactions which are closest in time to the conversion. This model takes ‘half life in exponential decay’ into account while calculating conversion credit distribution. N(o) denotes the initial amount before measuring decay. In our case this initial amount is 100% conversion credit. ‘t’ denotes the time span an interaction is away from conversion. t ½ denotes half-life which is the time it takes for a quantity to reduce to half its original value. By default, the time decay attribution model has a half-life value of 7 days. What that means, a interaction which occurred 7 days prior to conversion gets ½ the credit of the interaction that occurred on the day of conversion. Let us assume that interaction with position 1 occurred 14 days ago, interaction with position 2 occurred 7 days ago and interaction with position 3 occurred on the day of conversion. 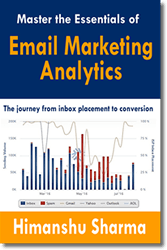 Campaign ‘A’ gets 85.7% (57.1% + 28.6%) credit for conversion. Campaign ‘B’ gets 14.3% credit for conversion. The actual calculation of the conversion credit distribution in case of time decay model is quite complex and can’t be done or demonstrated manually. 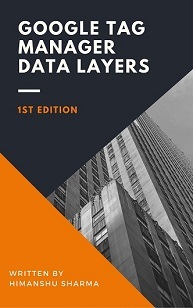 It uses data modelling in which predictive algorithms are used to determine marketing touchpoints (both online and offline touchpoints) which should get more conversion credit than others. Consequently, the conversion credit distribution for a DDA model cannot be demonstrated manually.